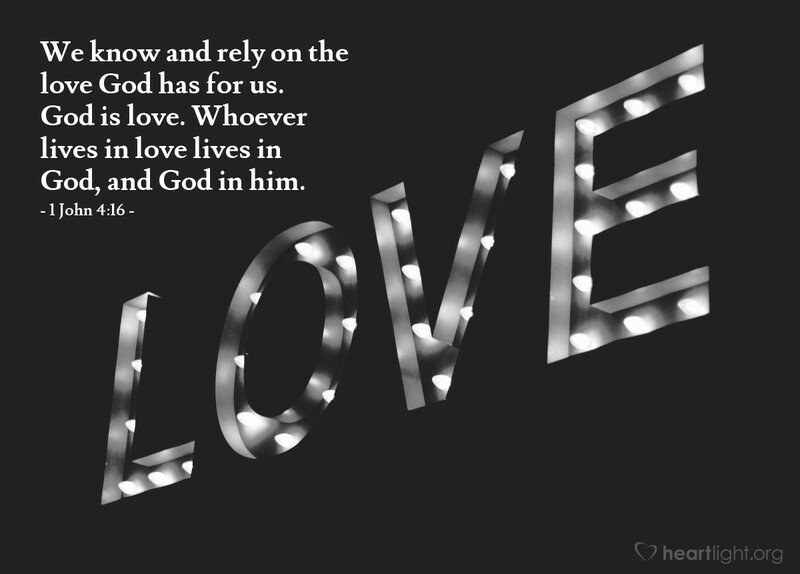 We know and rely on the love God has for us. God is love. Whoever lives in love lives in God, and God in him. How do you know God is at home in your heart? You know when you are doing loving things to bless the lives of others! Just as we trust and rely on God's constant love for us, our brothers and sisters in Christ need love demonstrated to them, too! Loving God and Almighty Father, fill me with your Spirit so I can be more loving to my family, my friends, and those whom you place in my path so they can learn about Jesus and his love. In the name of my gracious Savior I pray. Amen.